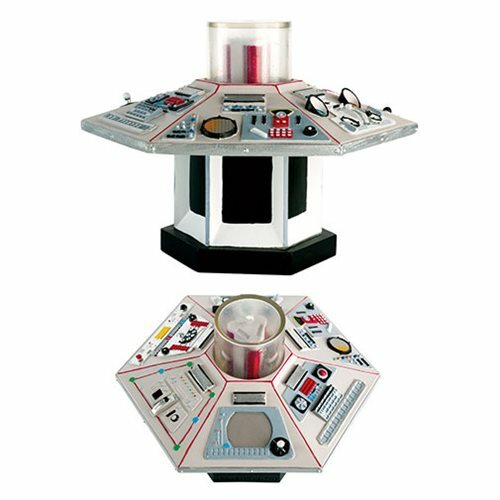 Available for the first time in the Doctor Who Figurine Collection, Eaglemoss Hero Collector has produced a TARDIS console. The Doctor Who Fourth Doctor TARDIS Console with Collector Magazine #1 has been faithfully recreated and hand painted, capturing every button, switch and panel. Comes complete with a magazine detailing this particular console's place in history.